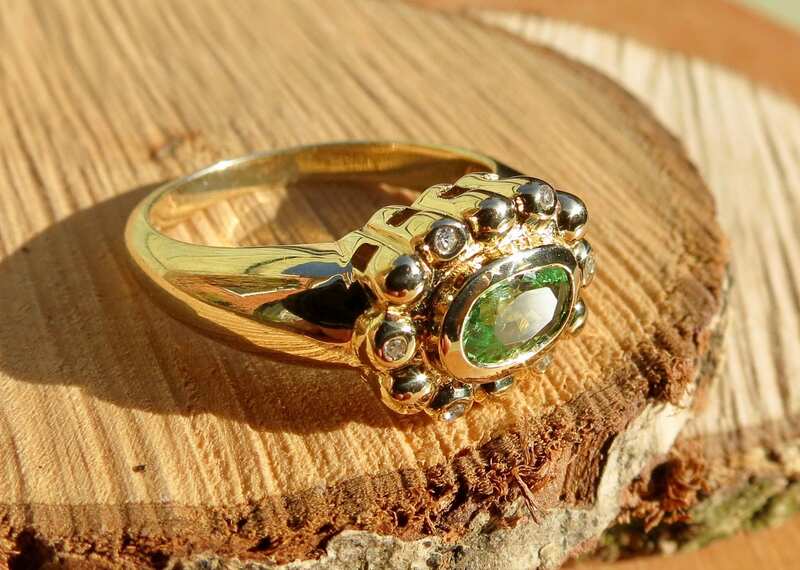 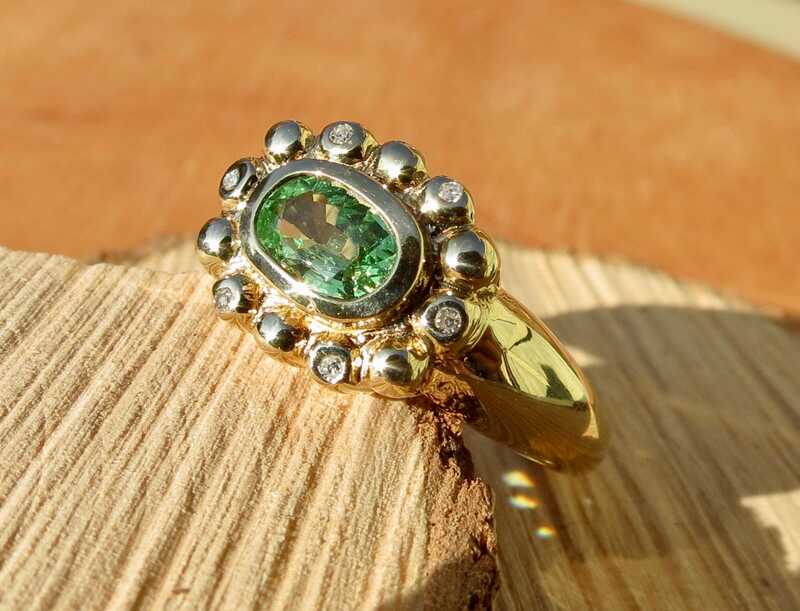 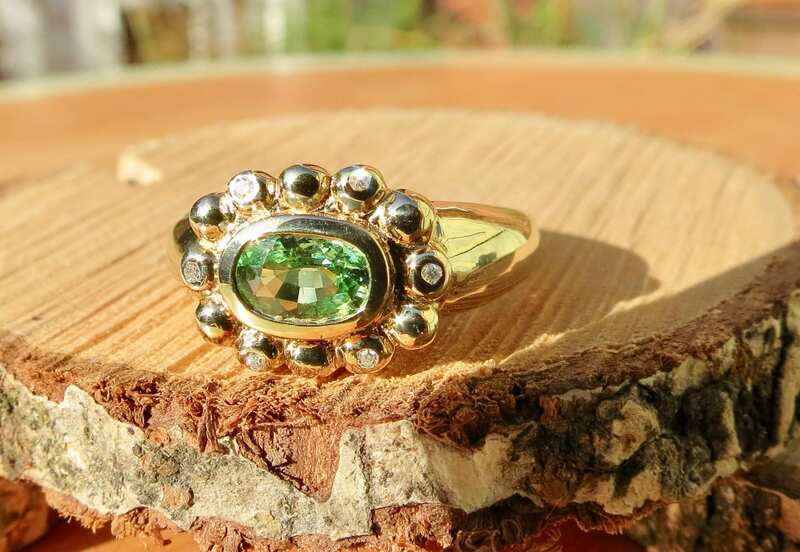 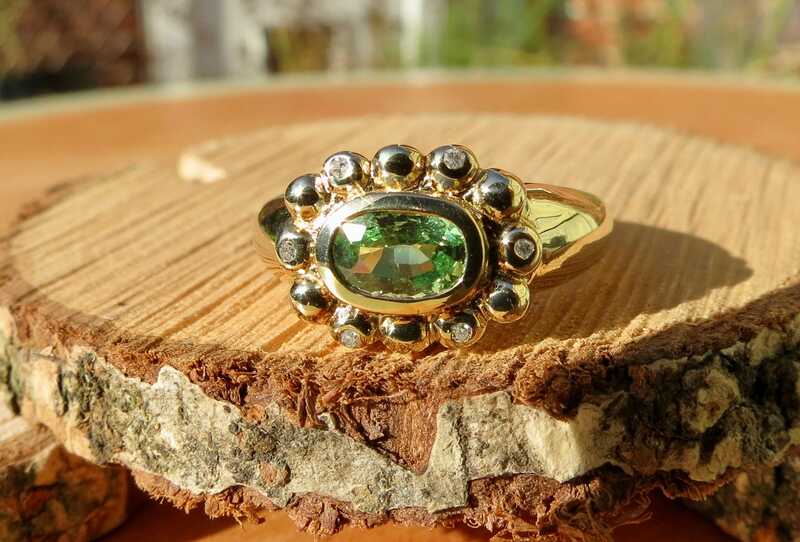 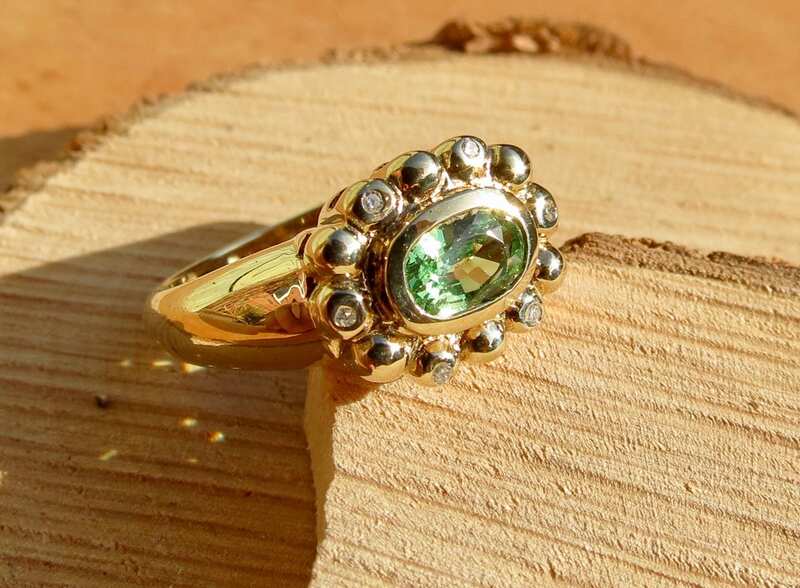 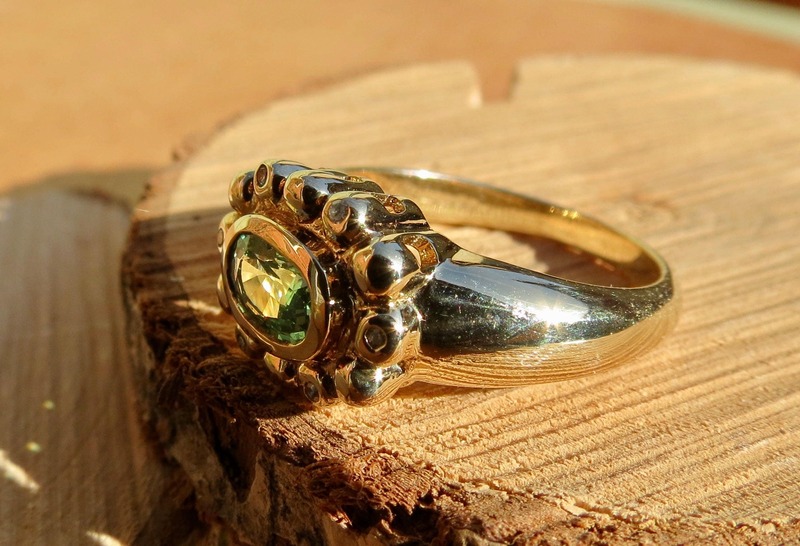 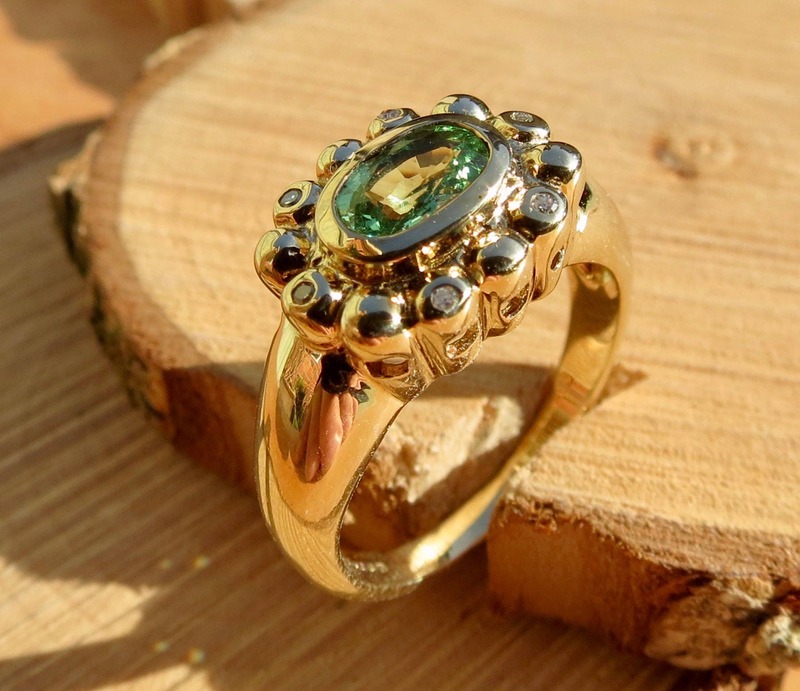 A vintage 9K yellow gold peridot ring with diamond accents. 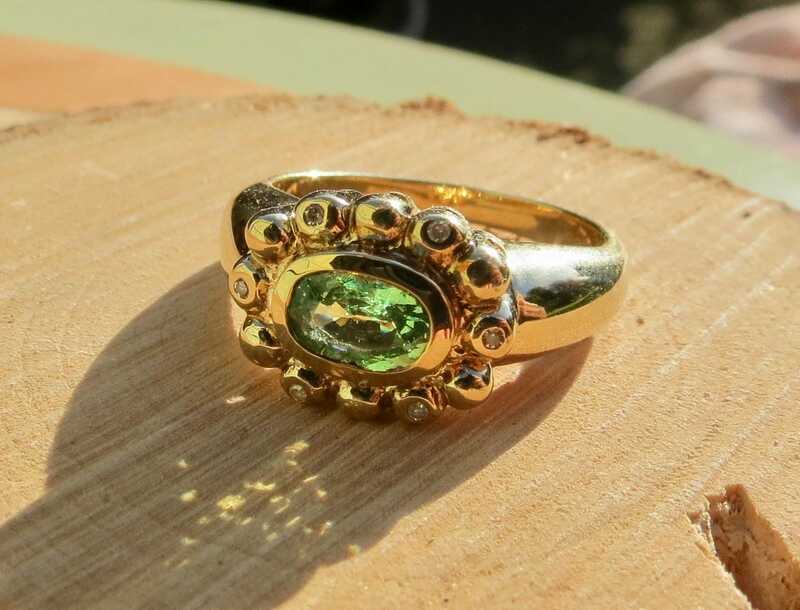 This vintage 9K yellow gold ring has an oval cut peridot in a claw setting, mounted with a gold multi-bead halo accented with diamonds. 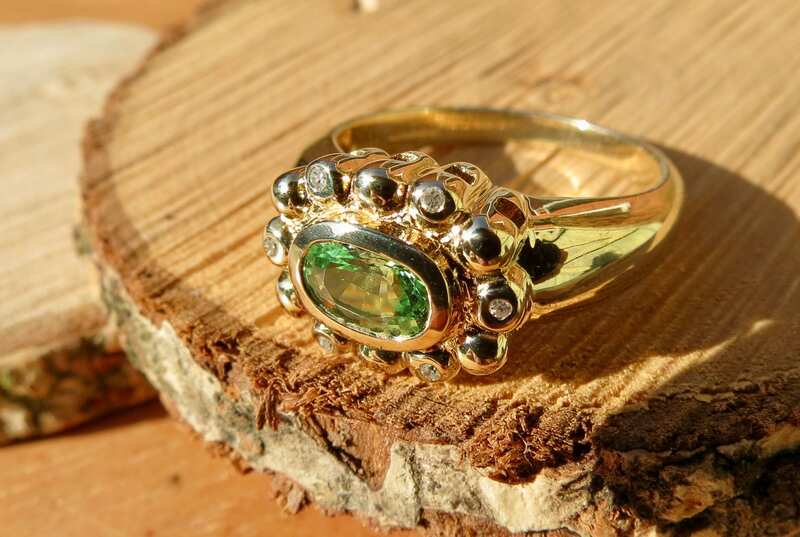 Mounted with wide shoulders that lead to a plain shank. 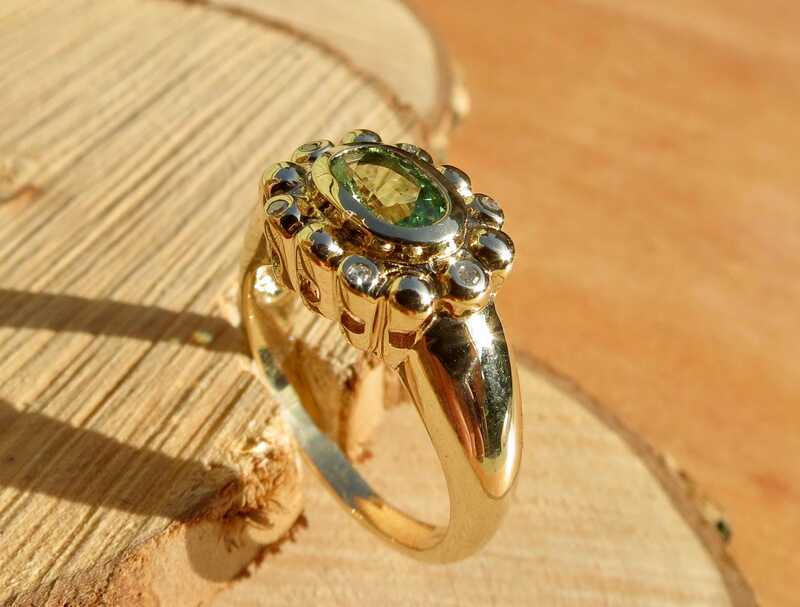 The setting is over 1/2 inch x 1/4 inch.